chew*, right now, i can't. I've got a sample request in for the 16/32s coming hopefully by End of July. Heat: 50 - 0 - 0 under "Argus333"
Cool no rush just curiosity. What is to stop a user from slapping two thread rippers in one of those dual socket boards and overclocking with Ryzen Master? I am fairly certain amd did not make it that simple. Movieman is watching this post from above lol. That would be awesome if it works. wow, did you PC upgrade? That is a secondary test rig. Last edited by AlleyViper; 03-06-2019 at 02:19 AM. 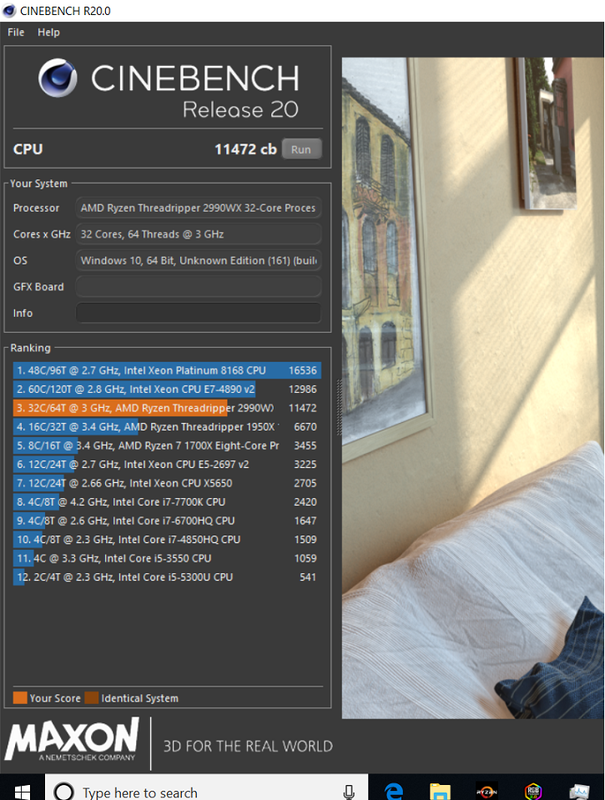 Quick 2700x run at 4.3ghz with Ryzen Master open. I must to try new toy guys Im not so extreme to have 2990WX, but I needed also Threadripper of 2nd gen, so 2920X .